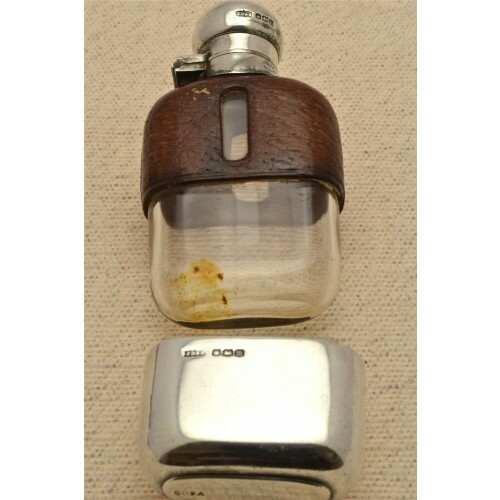 Antique ladies hip flask having a solid silver lid and drinking cup, hallmarked Sheffield 1929. 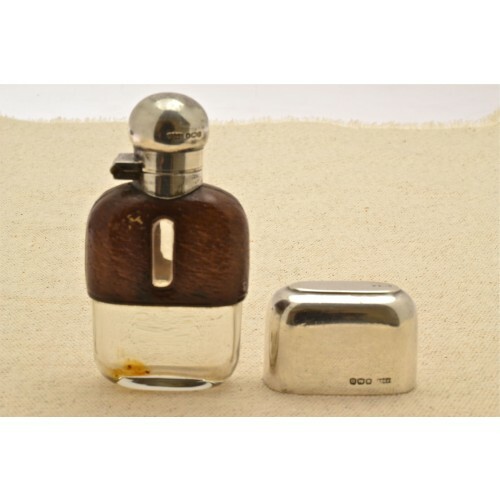 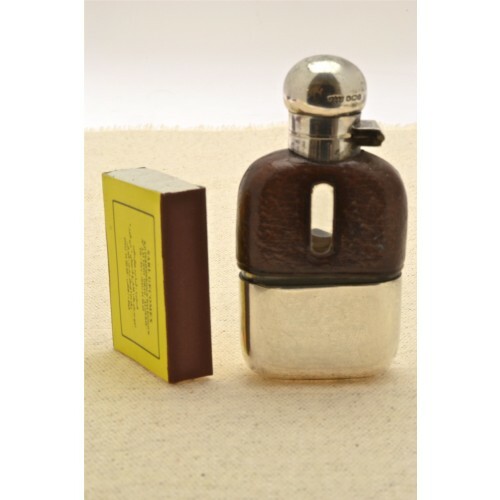 The top half of the flask is leather bound and under the solid silver drinking cup is the glass interior. 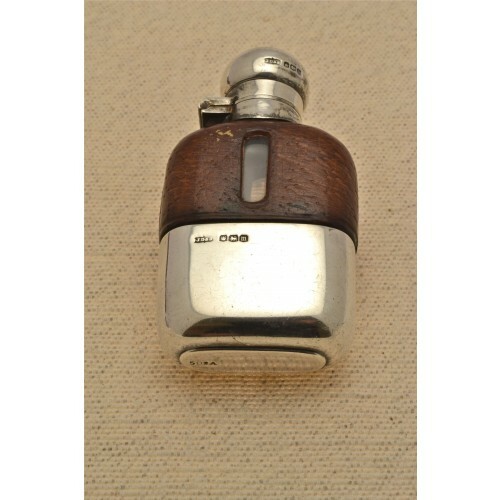 There is also a spirit measure in the leather. 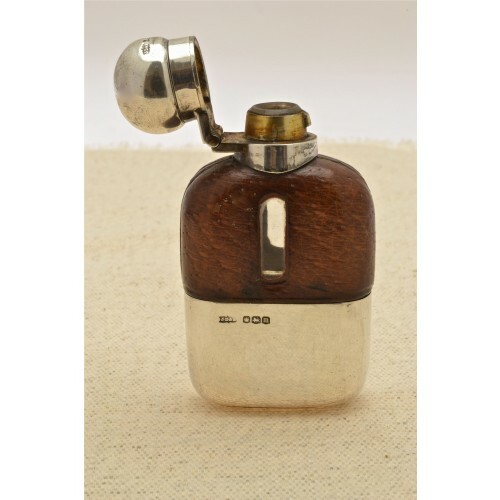 This piece has great character.